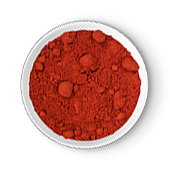 As a successful partner for the international food industry, Almi creates distinctive seasoning blends. Premium raw materials, stringent quality standards and a reliable service are paired with innovative ideas and technologies. Our core competences also include individualised customer support that adapts to the requirements of the market in question. High-quality, regional products are our top priorities. Both the procurement of raw materials and production are based on stringent criteria, thus ensuring the consistent quality of our products. 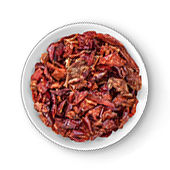 We know the world’s taste buds and are happy to adjust our spice blends to local preferences. Almi prides itself on long-term partnerships with its customers. 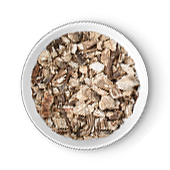 Even when raw materials or country – specific requirement – as a reliable partner for the international food industry, we guarantee that our recipes and blends always live up to expectations. As an Austrian family business, we set great store by reliability, team spirit, professionalism and individual customer care. Almi employees know what they are talking about: They know their industry inside out, are experts in their field and thus able to understand customers‘ requirements down to the smallest detail. As many different peoples and countries as there are in the world, as multi-faceted are tastes and flavour preferences. 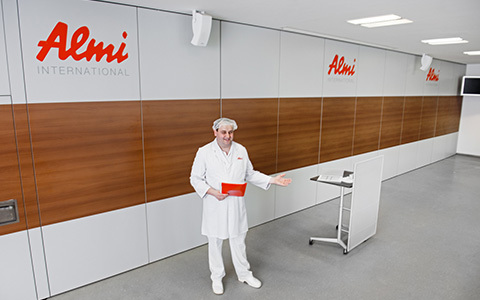 Our many years‘ experience and profound industry knowledge mean that Almi employees know what really counts. In our in-house research and technology centre, we continuously work on new recipes and blends. Almi shows that economic processes and sustainability do not have to contradict each other. Small steps make all the difference – our raw materials are sourced regionally to shorten transport routes, while the correct separation of waste materials and environmentally friendly packaging further minimise our environmental impact. Individual, holistic solutions that are fit for the future have been at the centre of our agenda for more than eight decades. 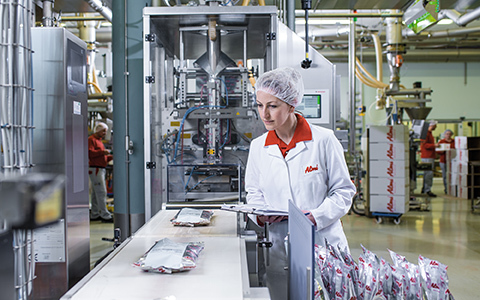 Forward-looking developments and top-level service come first – Almi guarantees individual recipes and stands for standardised products. High quality, regional products from experts, for experts. We pride ourselves on long-term partnerships, stringent selection and production criteria and individual customer care worldwide. In this way, we are able to ensure that the quality of our products remains consistently high. service, we provide consistently high quality. Pre-defined test schedules are tailored to the specific raw material. Only when all defined criteria are met, products are released for production. 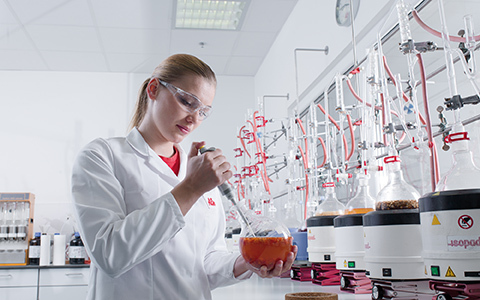 In order to guarantee our high standards we are working together with external, accredited laboratories. At first, analyses take place macroscopically, then sensorially, physically/chemically and finally microbiologically. Before distribution, every batch is once again controlled internally. Better safe than sorry. Quality and innovation are the Almi top priorities. 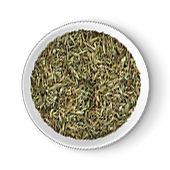 Our blends not only provide flavour, but also have functional tasks, hold several certifications and comply with the most stringent quality standards. Convenience products with dips etc. We are experts with many years‘ experience in the food sector, especially when it comes to exports. Fast, efficient delivery is thus a core element of our range of services. Our customers benefit from a perfectly synchronised supply and warehousing chain. Thanks to our worldwide network, we always have the required certificates and legal documentation ready. Many suppliers pay lip service to top quality and customer care – but only those who succeed in providing constant, reliable solutions over many years will enjoy long-term success. As a specialist for seasoning blends, functionalities for convenience products, combinations, sauces and marinades as well as food supplements, we pride ourselves on long-term partnerships and full traceability of our raw materials and products, which means that we can guarantee a high quality standard at all times. Numerous certificates prove our high level of competence and confirm that our customers can rely on proven quality management and perfectly coordinated processes. 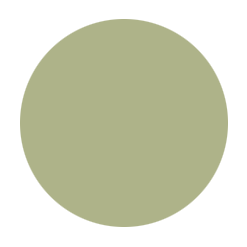 Bringing individual, distinctive products to the market that is the task we have set ourselves as spice blend specialists. Raw materials of the highest quality and a reliable service are complemented by innovative ideas and technologies, thus ensuring complete customer satisfaction. But technology is not the only area where our quest for innovation manifests itself individual customer care that reflects the customer market and its specific flavour preferences and trends is also one of our core competences. implementing innovative ideas and technologies. On a total area of 1,300 square metres, the Almi Research and Technology Centre sets new standards for the food industry. This is where new recipes are being researched and developed and the latest developments tested for user friendliness and feasibility in the integrated butcher’s workshop. 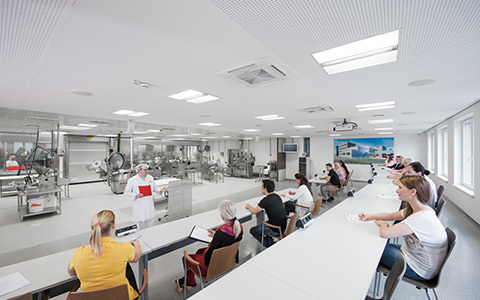 The seminars offered by the Almi Academy support our customers in the development of new products. 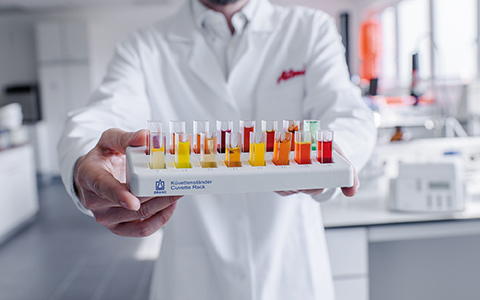 In addition to exclusive recipe development, we also offer a wide range of lab services, advice relating to food law and regulation, market analyses and the joint production of samples with technological experts. STIP is not dependent on a particular industry and may be used for any sort of vacuum-packed product. STIP protects the flavour and scent of the original product, ensuring full flavour and a fresh appearance right until the end of the shelf life. STIP may be used for meat and sausage products and raw meat as well as for cheese, baking products or confectionery. We do not leave anything to chance: Only with packaging that is specially adapted to our products can we guarantee our outstanding Almi quality. We therefore set great store by customised packaging that focuses on flavour protection. In addition, we are also aware of the importance of customer-orientated filling weights, which we determine jointly with our customers. We handle every single production step in-house, thereby ensuring complete control every step of the way; for instance when it comes to products defined as allergenic. Our customers are able to rely on the fact that recipes and blends will always correspond exactly to their requirements, even if raw materials, country-specific requests or legal stipulations change. Our Competence Centre in Oftering ensures that we are able to react quickly to any changes in circumstances and our long-term employees share a wealth of in-depth expertise and experience. The many years‘ experience of our employees and their comprehensive knowledge of our industry ensure that all legal stipulations are complied with. Our outstanding level of competence is reflected in numerous certificates. be sure that we will keep our promises. Now and in future.